“I think it’s a terrific piece of work. 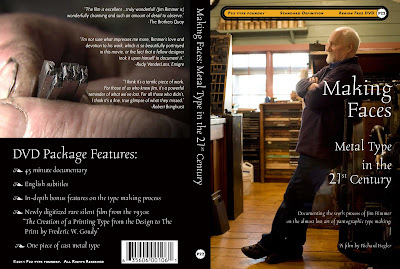 "A pure process film on the true hands-on method of creating typefaces, as demonstrated by one of its last practitioners. 'Making Faces' is an important resource for typography students and experts alike."